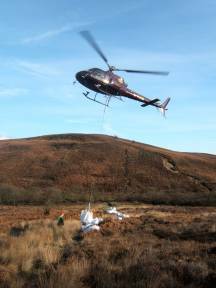 North York Moors National Park have now essentially completed a major restoration project affecting the Lyke Wake Walk at Jugger Howe. 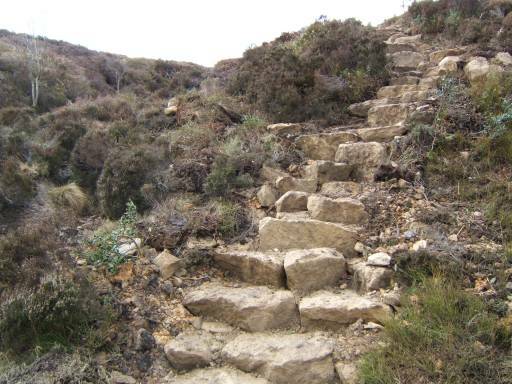 Badly eroded sections immediately north of the A171 and down either side of the valley of Jugger Howe Beck have been provided with a pitched stone path and additional drainage works and vegetation management were also undertaken. At the time of writing only some minor works and some landscaping remain to finish off. Update, February 4th: Work continues on the path with all the pitching on the east side completed. Flagging on the east and west of the beck is complete or ongoing. The work looks good and the path easy to walk on. Tidy up operations and landscaping works will take place nearer the end of March when the whole restoration should come together. Update, April 21st: The main path works – pitching and flagging – are now complete. There are some minor works to finish off and some landscaping remains, but the major path construction itself is finished. It is intended to leave the path now and allow it to settle in and the vegetation around it to regrow. 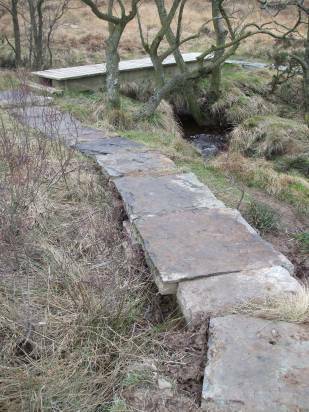 Rangers will visit the path again in a few weeks time and regularly during the summer to see how it is progressing and carry out landscaping and snagging as necessary.